The Company hereby agrees, subject to the terms, conditions and exclusions herein contained or otherwise expressed herein, to pay to the Insured a sum as compensation for any loss or damage as described under different sections hereunder but not exceeding the Sum Insured as specified in Part I of the Schedule to the Policy. 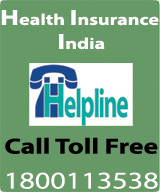 The Company shall compensate the Insured for expenses incurred for availing immediate medical assistance required as a consequence of such Insured falling ill or sustaining an accident whilst on a Trip abroad but not exceeding the Sum Insured for the coverage as mentioned in Part I of the Schedule hereto. The deductible excess in respect of this benefit will be applicable for each separate claim, and shall be of an amount as specified in Part I of the Schedule to this Policy. (a) Out patient treatment, provided, the same is critical and cannot be deferred till the insured's return to the Republic of India. (b) In patient treatment in a local hospital at the place the Insured is staying at the time of occurrence of an insurable event or at the nearest hospital. (c) Medical aid that is prescribed by a Physician as necessary part of the treatment for broken limbs or injuries (e.g. plaster casts, bandages and walking aids). 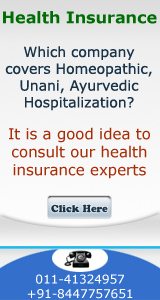 (d) Radiotherapy, heat therapy or phototherapy and other such treatment prescribed by a Physician. (e) X-Ray, diagnostic test, provided these pertain to the diagnosed diseases due to which hospitalization was deemed necessary. (f) Cost of transportation, including necessary medical care en-route, by recognized emergency service providers for medical attention at the nearest hospital or at the nearest Physician. (g) Cost of being transferred to a special clinic if this is medically necessary and prescribed as such by a Physician. (h) Life saving unforeseen emergency measures, or measures solely designed to relieve acute pain, provided to the Insured by the Physician for Disease/accident arising out of a pre-existing condition. The treatment for these emergency measures would be paid till the insured becomes medically stable or is relived from acute pain. All further medical cost to maintain medically stable state or to prevent the onset of acute pain would have borne by the insured. (a) Any extra costs of medically necessary and prescribed transportation from the foreign country to the Insured's permanent country of residence (being the Republic of India) provided that i. Extra costs in the event of transportation are arising as a consequence of the insurable event and ii. In view of the Third Party Administrator, the Insured is capable of being transported to India. (b) Additional costs of accompanying person(s), if it is medically necessary that the Insured be accompanied to the Republic of India. If the Third Party Administrator advises that the continued treatment in the Republic of India is appropriate, then the Company will pay the medical expenses incurred in India for the same illness/bodily injury contracted abroad following the transportation to India, for a maximum period of 30 days from date of return, provided the disease is contracted within the Period of Insurance during the Trip abroad.